Every Superman story ever told, starting at the beginning, in exact chronological order. 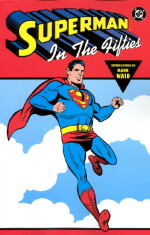 Contains stories from Action Comics, Superman, and New York World's Fair Comics. This is volume one. The definitive origin of the Man of Steel, re-told for the 21st century. 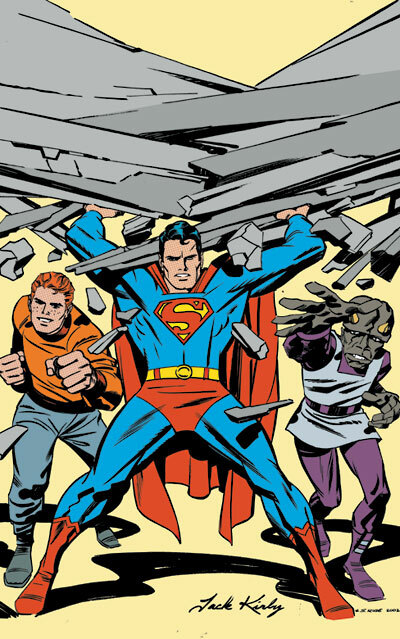 Over 500 pages long, this massive volume collects 49 incredible Superman stories from 1958 to 1959 - the beginning of the Silver Age Superman! 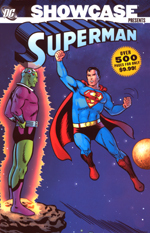 Includes the introduction of the Fortress of Solitude, Brainiac, Supergirl, and more! A bargain at only $9.99! Volume 1 in the series. 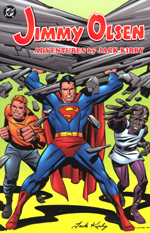 Written by Superman co-creator Jerry Siegel with art by Wayne Boring and John Forte, the Bizarro World collection features an all-new cover by Jaime Hernandez (Love and Rockets, Penny Century). 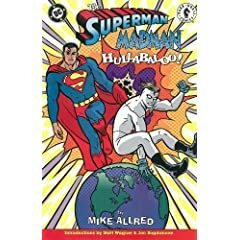 Packed with upside-backwards tales of a planet where alarm clocks dictate when to go to sleep, ugliness is beautiful and the world's greatest hero is a chalk-faced duplicate of Superman - one who everyone knows is really Bizarro Clark Kent - this hilarious volume showcases Bizarro versions of Mr. Mxyzptlk, Lana Lang, Lucy Lane, Luthor, and, of course an oversized Bottle City of Kandor, reprinting all of the unforgettable "Tales of the Bizarro World" features from Adventure Comics #285-295. 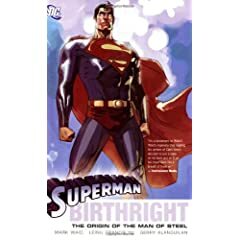 This is a graphic novel collection of the original comic book mini-series by Mark Waid and Alex Ross; with 12 new story pages, including an all-new epilogue. This collection also boasts an introduction by Elliot S! Maggin.